Carl August Sandburg was born January 6, 1878, in a three-room cottage in Galesburg, Illinois, to August and Clara Sandburg, immigrants from Sweden who met and married in the United States. One of seven children, he left school at the age of 13 to work and help support his family. He volunteered for military service during the Spanish-American War and afterward, qualified as a veteran for college admission despite his lack of a high school diploma. At Lombard College in Galesburg, Sandburg began to write poetry and prose, and his first booklets were published by his favorite professor, Philip Green Wright. Sandburg left college without graduating and worked as a traveling salesman before becoming an organizer and orator for the Social Democratic Party of Wisconsin in 1907. At party headquarters, he met Lilian Steichen, younger sister of the painter and photographer Edward Steichen, who was already making a name for himself in New York and Paris. Sandburg and Lilian Steichen were married in 1908, and moved to Chicago in 1912, where Sandburg went to work as a journalist, sometimes using a pseudonym and writing for business journals and socialist journals and newspapers. During nearly five decades as a newspaperman, he was a local news reporter, an investigative reporter, a war correspondent, a movie critic, and a nationally syndicated columnist. Sandburg was a popular platform performer, playing the guitar and singing American folk music, and reading his poetry and prose. In 1926 he published the two-volume biography Abraham Lincoln: The Prairie Years, and continued researching and writing Lincoln’s life. The four-volume Abraham Lincoln: The War Years, published in 1939, won the Pulitzer Prize in history. Sandburg’s Complete Poems (1950) received the Pulitzer Prize in poetry, and contained all of his books of poetry: Chicago Poems (1916), Cornhuskers (1918), Smoke and Steel (1920), Slabs of the Sunburnt West (1922), Good Morning, America (1928), and The People, Yes (1936). He also published stories and poems for children, an anthology of American folk music, an autobiography of his early years, and a novel, Remembrance Rock (1948). He collaborated with Edward Steichen, his brother-in-law, on the text for the landmark photographic exhibition and book, The Family of Man (1955). Sandburg lived the last 22 years of his life at Connemara, a 245-acre farm in Flat Rock, North Carolina, now a National Historic Site and a unit of the National Park Service. When he died there July 22, 1967, at the age of 89, he was survived by his wife, their three daughters, Margaret, Janet and Helga, and Helga’s two children. In September 1967, nearly 6,000 people gathered at the Lincoln Memorial in Washington for a national memorial tribute to the Poet of the People. On October 1, 1967, Carl Sandburg’s ashes were buried at his Galesburg, Illinois, birthplace, now a state historic site. 1878 – Carl Sandburg is born on January 6 in Galesburg, Illinois. He is the second child and eldest son of Swedish immigrants August and Clara Sandburg. He is baptized Carl August, but in elementary school he asks to be called Charles, or Charlie, thinking it is more American. 1883 – Lilian Steichen, Sandburg’s future wife, is born on May 1 in Hancock, Michigan. 1891 – Carl leaves school after the eighth grade to help support his family. He works long hours delivering milk and doing other odd jobs. 1896 – Carl leaves Galesburg to see Chicago for the first time. 1897 – At age 19, Carl leaves home one June afternoon, hops a freight train, and travels west as a hobo. He works as a laborer on farms and the railroad, and sharpens his interest in labor laws and the plight of working people. 1898 – On April 26, he is sworn into Company C, Sixth Infantry Regiment, Illinois Volunteers. He serves as a private in the Spanish-American War; on July 11 Carl and his company board a ship to Guantanamo Bay and they arrive on the 17th. On the 25th, Carl is involved in battle in Guanica, Puerto Rico, where he is assigned company detail. The armistice ends the war on August 12, and Carl returns to Galesburg on September 21. As a veteran, he enrolls as a special student at Lombard College, even though he is not a high school graduate. 1899 – Carl receives an appointment to West Point but fails the entrance exams in math and grammar on June 6. He returns to Lombard College and becomes editor of the college journal and yearbook and captain of the basketball team. Encouraged by Professor Philip Green Wright at Lombard, he begins writing in earnest. 1902-07 – He leaves college without a degree, sells stereopticon slides and viewers, and writes for the Galesburg Evening Mail, using the pseudonym “Crimson.” His first poem is published in the literary magazine The Thistle in 1902. His first collection of poetry and prose, In Reckless Ecstasy, is published in 1904 as a booklet by Professor Wright. As Charles Sandburg, he is active in the Social Democratic Party of Wisconsin, lecturing and writing against the exploitation of workers and calling for the end of child labor practices. 1908 – He marries Lilian Steichen, who shares his interest in social reform and human rights. He nicknames her Paula; she encourages him to reclaim his birth name, Carl. She is the sister of painter and photographer Edward Steichen, who becomes Sandburg’s lifelong friend. 1909-13 – Sandburg writes and edits for several newspapers and magazines. His daughter Margaret is born June 3, 1911. His daughter Madeline dies in childbirth in November 1913. 1914 – His poems are published in Poetry: A Magazine of Verse. He wins a cash award for best poems of the year and is discovered by publisher Alfred Harcourt. 1916 – His daughter Janet is born June 26. 1917 – He joins the Chicago Daily News as a reporter. 1918 – He is hired by the Newspaper Enterprise Association to travel to Norway and Sweden as a correspondent covering World War II. His daughter Helga is born on November 24. Cornhuskers is published. 1919 – He returns to work at the Chicago Daily News. The Chicago Race Riots is published. With poet and novelist Margaret Widdemer, he shares the national Poetry Society of America prize (the forerunner of the official Pulitzer Prize in Poetry, formally established in 1922). The 1919 award, funded in part by Columbia University, honors Cornhuskers. 1920 – Smoke and Steel is published. 1922 – Slabs of the Sunburnt West is published, as well as Sandburg’s first book for children, Rootabaga Stories. 1923 – Rootabaga Pigeons is published. 1926 – The two-volume biography Abraham Lincoln: The Prairie Years is published and establishes Sandburg’s reputation as a biographer. He also records an album of songs for the RCA Victor Talking Machine Company. 1927 – The American Songbag is published. The Sandburgs buy property on Lake Michigan and build a house, designed by Mrs. Sandburg. 1928 – The Sandburgs move into their new house on the dunes of Lake Michigan, near Harbert, Michigan. Good Morning, America and Abe Lincoln Grows Up are published. 1929 – Steichen the Photographer, Sandburg’s biography of his brother-in-law, is published, illustrated with photographs by Steichen. 1932 – Sandburg leaves the Chicago Daily News to focus on writing poetry, children’s stories, and the last four volumes of the Lincoln biography. 1935-37 – Lilian Sandburg buys her first goats and registers the herd’s name as Chikaming after the township where they live. She begins a breeding program to improve the blood lines and milk production of her growing herd of dairy goats. 1936 – Sandburg publishes The People, Yes. 1939 – The four volumes of biography, Abraham Lincoln: The War Years, are published. 1940 – Sandburg wins the Pulitzer Prize for history for Abraham Lincoln: The War Years. He is elected to the American Academy of Arts and Letters and receives honorary degrees from Harvard, Yale, and, over the years, in many other colleges and universities. 1942-1943 – He writes a syndicated weekly wartime news column and works on a government wartime film as well as foreign broadcasts for the Office of War Information. He also writes the captions for Road to Victory, an exhibition Steichen mounts at the Museum of Modern Art in New York. Home Front Memo is published in 1943. 1945 – The Sandburg family moves to Connemara Farm in Flat Rock, North Carolina. 1946 – Sandburg’s birthplace in Galesburg, Illinois is dedicated as a memorial. 1948 – Remembrance Rock, Sandburg’s only novel, is published. 1950 – Complete Poems is published. 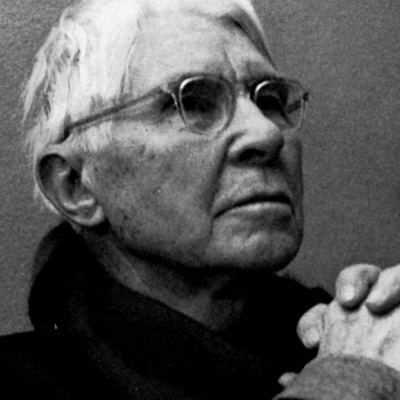 1951 – Sandburg wins the Pulitzer Prize for poetry for Complete Poems. 1952 – He receives the American Academy of Arts and Letters gold medal for history. 1953 – Always the Young Strangers, an autobiography covering the first 20 years of Sandburg’s life, is published. He receives the Poetry Society of America gold medal. 1953-58 – Sandburg writes prolifically and travels the country lecturing, reading poetry, and singing. In 1954 the one-volume Abraham Lincoln: The Prairie Years and The War Years, is published. In 1956 the first of many U.S. schools named after him opens in Harvard, Illinois. 1959 – He delivers the Lincoln Day address on February 12 before a joint session of Congress. As the cultural envoy of the State Department, Sandburg travels to Russia with Edward Steichen. He and Steichen represent the United States at The Family of Man exhibition in Moscow. Sandburg travels to Sweden and receives the Litteris et Artibus medal from King Gustav. 1960-61 – Sandburg works as Hollywood film consultant for George Stevens and The Greatest Story Ever Told. 1963 – Honey and Salt, Sandburg’s last book of poetry, is published on January 6, his 85th birthday. He receives the International United Poets Laureate award as the Honorary Poet Laureate of the United States. 1964 – Sandburg receives the Presidential Medal of Freedom from Lyndon B. Johnson. 1967 – Sandburg dies on July 22 at home in Flat Rock, N.C., at age 89. The nation mourns and acclaims him as writer, biographer, folk singer, lecturer, and Poet of the People, who spoke for those “who did not have words or the power to speak for themselves.” With thousands of people in attendance, he is eulogized on September 17 at the Lincoln Memorial. His ashes are buried at his birthplace in Galesburg on October 1. 1968 – Congress authorizes the Carl Sandburg Home National Historic Site, the first National Park unit to honor a poet. Dr. Penelope Niven is the author of Carl Sandburg: A Biography and Carl Sandburg: Adventures of a Poet.